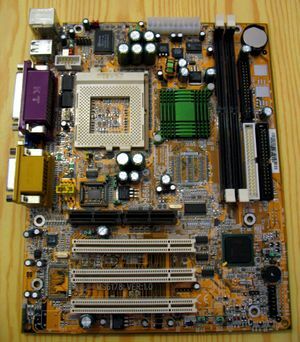 This HOWTO describes how to use coreboot on the MSI MS-6178 board. SDRAM WIP Single-sided DIMMs in slot 0 work fine. Other combinations may or may not work, this is WIP. On-board USB OK Tested: USB thumb drive, USB mouse. On-board VGA OK Needs a small patch for now. PCI add-on cards OK VGA PCI card works in each of the three PCI slots. Parallel port OK Loading the ppdev/parport_pc Linux kernel modules works fine, other tests were not done. PC speaker OK Works after modprobe pcspkr. Sensors / fan control OK Works fine using the w83627hf Linux kernel module. Hardware watchdog OK Doing modprobe w83627hf_wdt seems to work fine, further tests were not performed, yet. Nonstandard LEDs N/A No LEDs mounted on the board, but there are various pin headers where you could add some. Flashrom No Works neither on BIOS nor on coreboot so far.